This is not fake news: IT Service Management(ITSM) can have a significant impact on your business’s return on investment(ROI) and improve your overall productivity and efficiency. 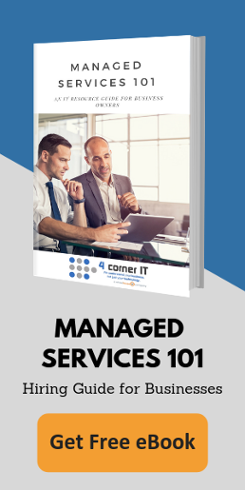 How can using IT service management in your business help you accomplish all the business goals you have set? So now that you know that your company’s ROI can be impacted by IT Service Management, you are probably also wondering how it can do this. The procedures and processes that are used by ITSM can help your company envision your daily workflow so you can eventually become more efficient and so that you can save money. Efficiency and cost savings do not just take place in your workplace’s IT department; these things will happen across every department in your workplace. As a result of greater efficiency in all departments, the impact on your company’s bottom line will be tremendous. The data that can be recorded by IT Service Management can give your company relevant information about what type of problems you may run into, which will give your business the opportunity to take the right measures ahead of time. ITSM can help your company make tough decisions about which processes and strategies should be pursued. Since IT will create multiple changes across the entire workplace, your company’s operational efficiency can be improved with greater IT service. When all of your employees are using the same resources and tools, it will make it easier to implement and integrate new procedures. When your workplace uses the right tools and the right technology, this can result in more opportunities to streamline and automate your processes. Streamlining multiple processes can eventually result in greater productivity and higher efficiency. IT service management can be used to improve all of your departments, not just your IT department. When you can reduce human mistakes across the board, you will have the cost-saving and efficiency solution you have been searching for. Are you looking to make an investment in your entire workplace? Do you want to find out how ITSM can translate into greater workplace efficiency? Do you want to find better ways to achieve your goals? Contact us today for more information on IT service management.